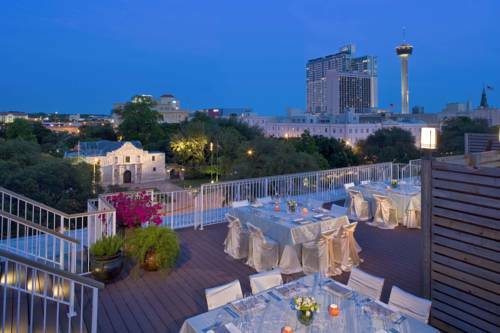 Experience Hyatt Regency San Antonio located on the famed Riverwalk across from the historic Alamo. This stunning downtown hotel is a premier destination for individual travelers, meetings and special events. Stroll among dozens of sidewalk cafes, boutiques and galleries. Board a riverboat for a leisurely cruise. Visit centuries-old Spanish Missions and the historic La Villita. Discover a unique American city with a rich and colorful history.